Retailers across Michigan celebrated I Buy Nearby Weekend this past Saturday and Sunday by offering special merchandise, sales or other offers for customers who made a point to buy nearby. 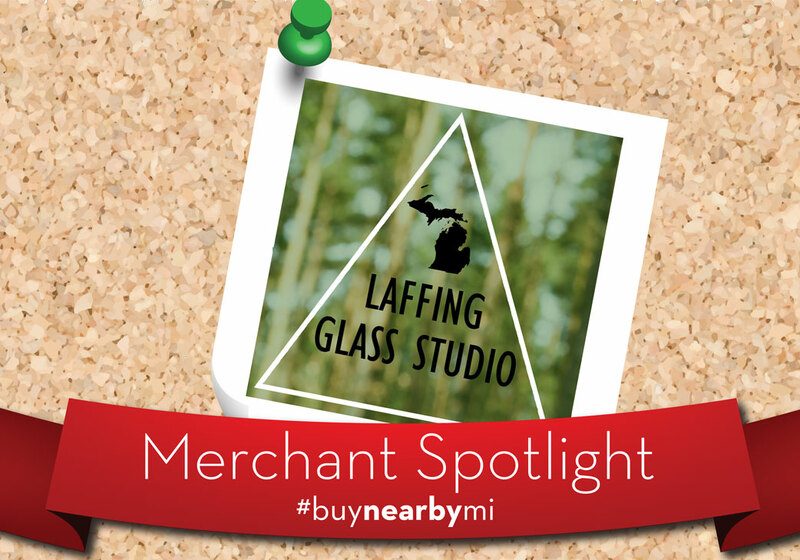 This event is part of our year-round Buy Nearby campaign that encourages Michiganders to support local communities and the state economy by purchasing products from retailers in the Michigan places where they live, work or vacation. Same-store sales in Michigan for the first weekend in October increased nearly 25 percent over last year, according to an analysis of the credit card transactions of more than 1,000 retailers. This year, we offered shoppers the chance to win a $500 gift card by entering our I Buy Nearby Weekend photo contest! To enter, shoppers used social media and the hashtag #ibuynearby to post photos of themselves buying nearby over the weekend. We received an eclectic bunch of photos of shopper selfies, farmer’s market finds, thrift store buys and yummy fall treats. 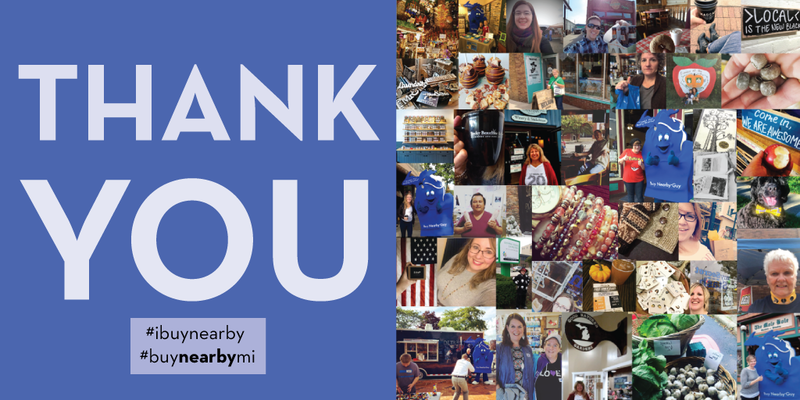 We loved seeing so many people enjoying their fall weekend buying nearby in their Michigan communities to support the state. The photo contest winner was selected in a random drawing from among all who posted. It was Julie Kowalewski’s lucky day. 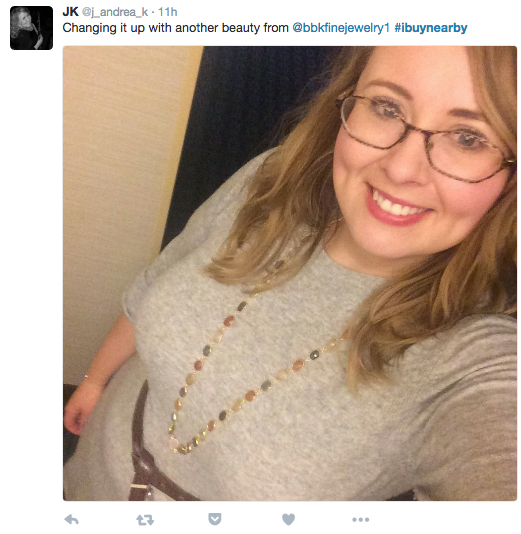 Julie tries to always buy nearby, so it was especially thrilling when she won a $500 gift card from us for the photo she took showing off the necklace she bought at Becky Beauchine Kulka Diamonds and Fine Jewelry (BBK) in Okemos during I Buy Nearby weekend. 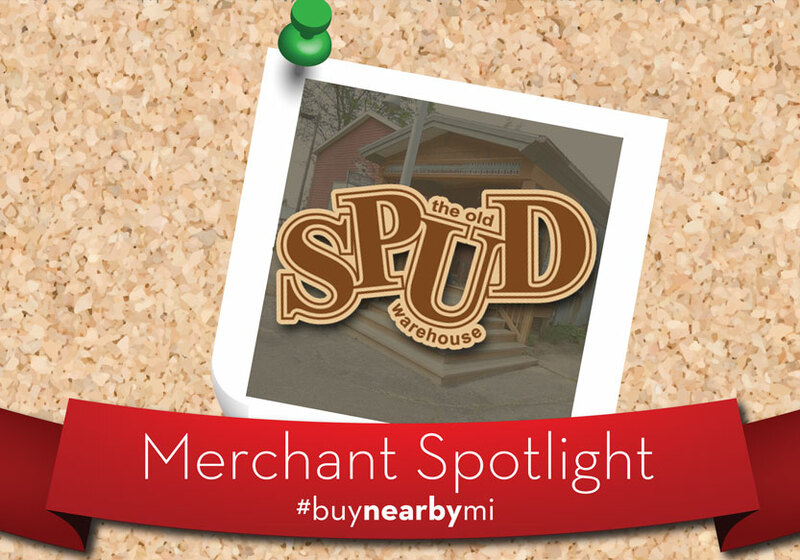 “I was prompted to Buy Nearby because I am proud to be from Michigan. I believe my coworkers are sick of how much I talk about it,” said Kowalewski, a former teacher in the Wayne-Westland Community School District. She and her husband visited the jewelry store over the weekend because her husband had purchased her custom engagement ring, wedding band and other pieces from the retailer, and she loves the jewelry the store offers. Since they moved to Maryland for work, the couple makes sure to stop in nearly every time they visit Michigan. 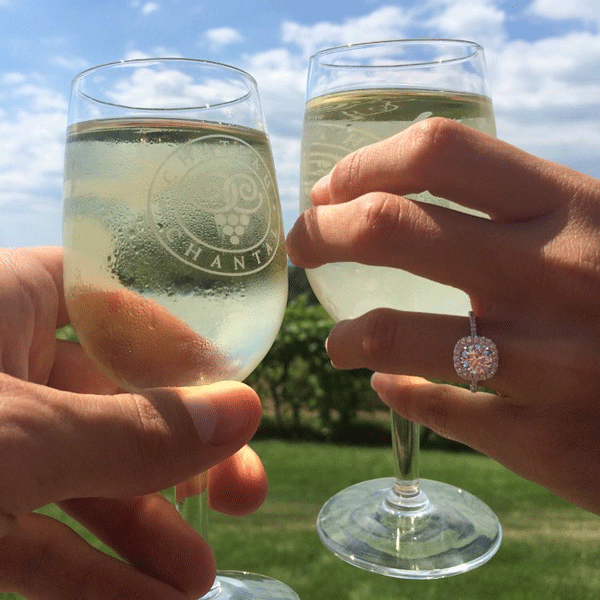 “I have yet to find a jewelry store with better a selection or service,” Kowalewski said. Becky Beauchine Kulka Diamonds and Fine Jewelry began in 1988 as an on-site jewelry appraisal service. 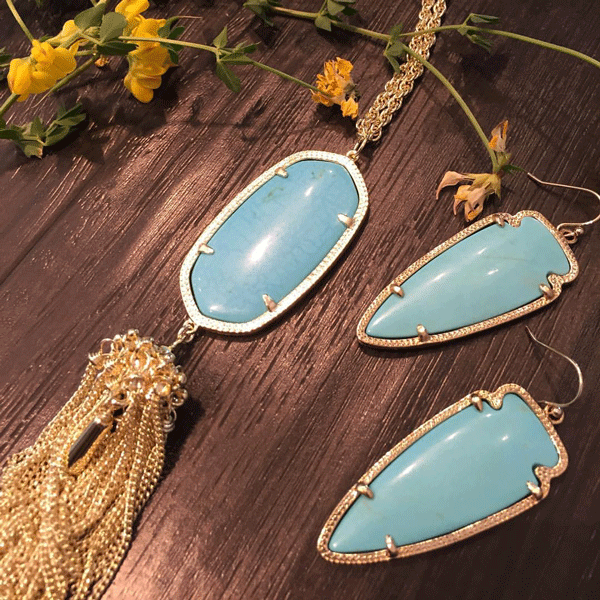 Over the years, BBK Fine Jewelry has grown into a well-known retailer, winning the 2016 Top of the Town Award for Best Jewelry Store. 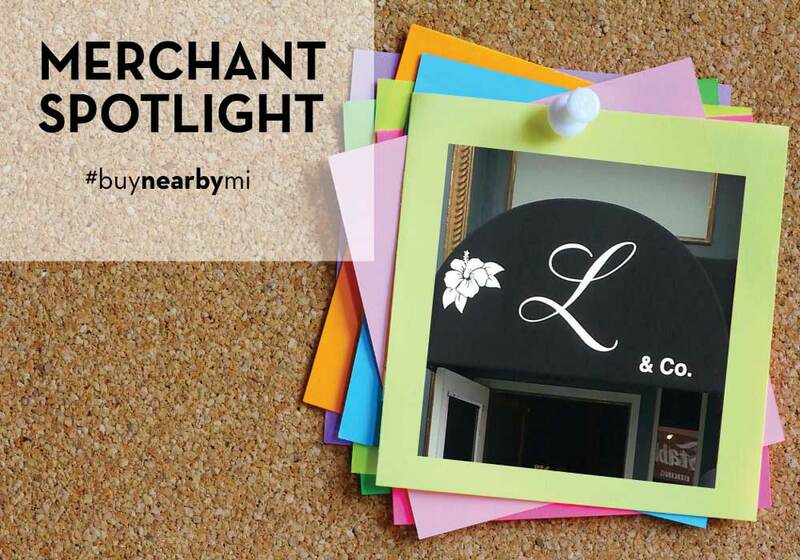 Along with other Michigan retailers, the jewelry store and owner Becky Beauchine Kulka understand the importance of buying nearby. She has created a store with wallpaper that looks like the inside of a diamond mine, and provides a computer with a special program that lets customers design their own jewelry and see a three-dimensional display of what it would look like. Fresh-baked cookies and coffee are another addition to the inviting ambiance. 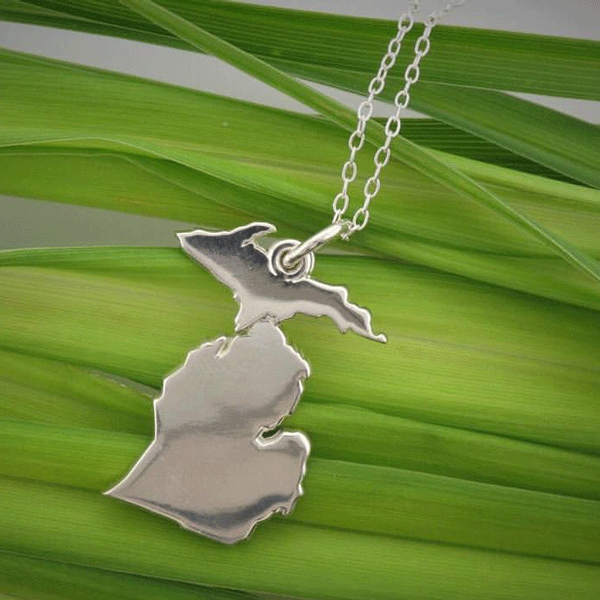 Independent research found that Michigan’s economy would grow by more than $9 billion and create nearly 75,000 new jobs if residents chose to make all their purchases from Michigan retailers. The success of I Buy Nearby Weekend shows more Michigan residents understand the far-reaching benefits of buying nearby. Want to learn more? Connect with us on Facebook, Twitter and Instagram!